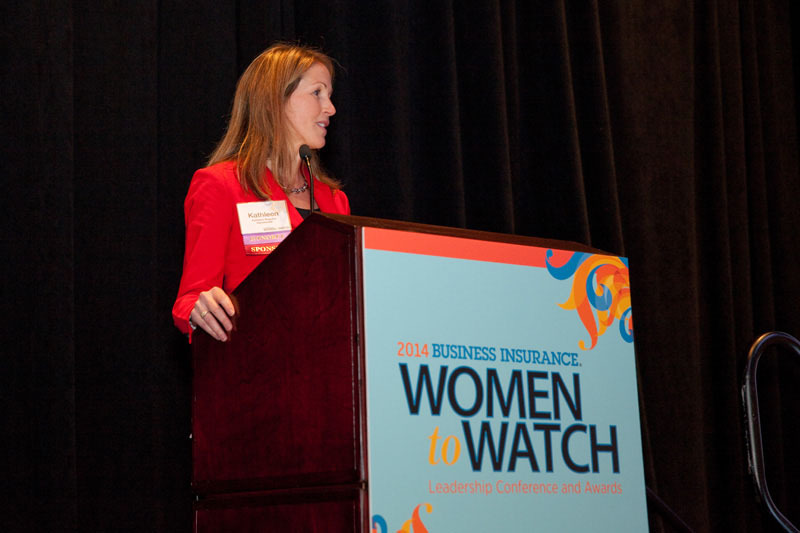 Kathleen Reardon, Chief Executive Officer of Hamilton Re, the reinsurance operations of Hamilton Insurance Group, was honoured earlier this week at Business insurance’s annual Women to Watch awards ceremony. Mrs. Reardon, who was promoted to her current position in April of this year, was one of 25 women singled out from 400 applications to receive the prestigious award which recognizes outstanding women doing exceptional work in risk management, benefits management, commercial insurance and other related fields. The awards ceremony, held at New York’s Marriott Marquis, was the highlight of a day-long conference that examined issues facing women in the re/insurance sector, including the lack of women in executive roles. Hamilton Insurance Group CEO Brian Duperreault was the conference’s keynote speaker. His speech, “Where Are the Women?,” was first delivered in June at the Bermuda Captive Conference and reprised at Business Insurance’s request at this week’s conference. Speaking to a standing-room only audience, Mr. Duperreault then joined a panel discussion on the business case for gender diversity.